Choosing the right wildlife binocular can be a real challenge — use our tips to help you make the perfect choice (Model: Swarovski Optik SLC HD). Binoculars are perhaps your most indispensable piece of wildlife watching equipment (with the possible exception, here in Ireland at least, of good waterproof gear). The right pair of binoculars can enhance your enjoyment of and engagement with the natural world exponentially. But choosing binoculars for birding and wildlife watching can be a tricky proposition. 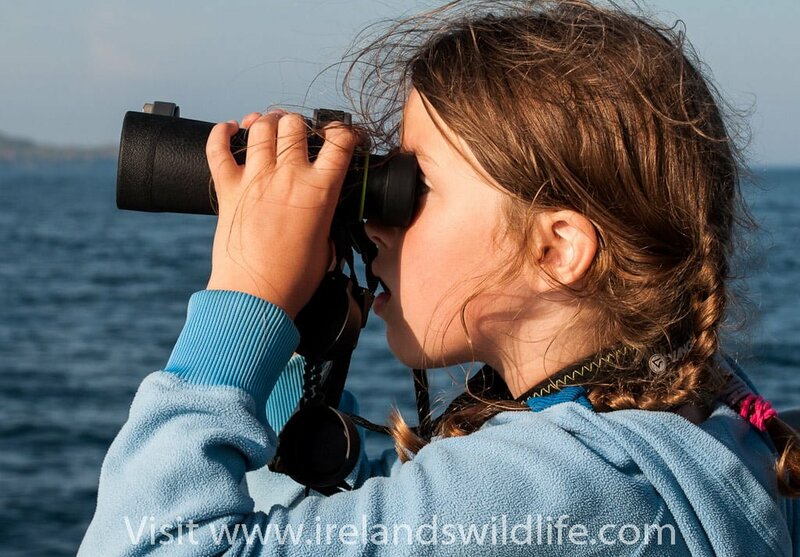 At Ireland’s Wildlife we get to try a wide range of binoculars from lots of different manufacturers, and use our own optics extensively every day. We’ve developed a thorough understanding of what’s important when it comes to buying your ideal binocular for birding and wildlife observation. Here are our top tips to help you pick out your perfect birding and wildlife binocular. NB. 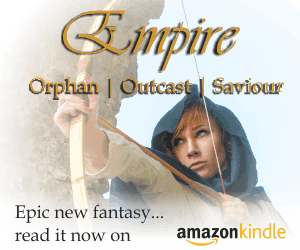 For your convenience we’ve transformed the contents of this article into a mini-ebook that”s available for your Amazon Kindle reading device or mobile app. This first point is quite an important one. When you’re choosing a pair of binoculars for birding or wildlife watching advice, reviews, opinions and guidelines will all help you to narrow down the field to a shortlist of suitable makes and models. But everybody’s needs and preferences will vary, and it’s important to take your own personal requirements and preferences into account. Choosing quality optics is about finding the right compromise between size, weight, optical performance, ergonomics, practicality, function and price. Your goal is to identify the combination of features that best fits your particular needs and circumstances for your selected budget. Recommendation: as you read through the rest of these tips keep this first point in mind. These are guidelines rather than hard and fast rules. Look to strike a balance that works for you. The right binocular makes wildlife watching more fun for all ages (Model: Vanguard Endeavor ED). There’s no getting around it, the very best wildlife and birding binoculars on the market are expensive instruments often retailing well in excess of €1,000. The best-of-the-best will outperform most of the competition, but you will pay a hefty premium for a relatively minor (but sometimes significant) increase in performance. With binoculars the old adage “you get what you pay for” still hold true to a significant degree. Precision optical instruments demand exacting standards in their production… and still comes at a price. Binoculars you pick up on offer at your local supermarket for €50 may be OK for occasionally watching ships sail by on a sunny day at the beach, but they will fall far short of ideal when trying to pick out subtle plumage detail on a small brown bird in a shady hedgerow, or spot the tell-tale signs of distant whales blowing offshore. Having said that the gap between the leading tier of €1,000 plus binoculars and some of their more affordable competition is closing. Optical technologies, techniques and components pioneered by premium European manufacturers have become more widely available and affordable, and production standards in the far east have improved to the point where manufacturers are mass-producing some remarkably good optics. Today you can get a good pair of binoculars for a relatively modest investment of around €150-€200, and you’ll find some truly outstanding instruments in the €300-€500 price bracket that will serve you faithfully for decades of bird watching and wildlife observation. When setting your budget for buying a pair of wildlife and birding binoculars bear in mind that buying the cheapest option available rarely delivers the best value for money. Investing a bit more will often vastly enhance your enjoyment of using your binoculars, and will get you a pair that will last you for much longer. Look at your binoculars as a long-term investment. Unlike the latest electronic gizmos your binoculars won’t become obsolete in six months, and if properly cared for the view through them won’t deteriorate over time. A good pair of binoculars will keep delivering value week in week out, year after year for decades. More expensive binoculars are also made with better quality materials and to tighter production tolerances, and are built to cope with the rigours of life in the field. Recommendation: I always advise people to get the best pair of binoculars they can realistically afford. Binoculars are probably the most important piece of equipment in the wildlife enthusiasts arsenal, and it’s almost always worth pushing the budget a bit (within sensible limits) to get a better pair. Binoculars come in two basic designs based on the type of prism used in their optical construction — the traditional porr0-prism design and the more modern roof-prism design. Until relatively recently porro-prisms were by far the most common type of binocular on the market. However as the prices for high-quality roof-prism design has come down their popularity has increased. Most of the top quality bird watching and wildlife binoculars on the market today are roof prism models. A typical porro-prism binocular (image via Wikipedia). Porro-prism binoculars are the traditional shaped binoculars you often see featured on movies, where the smaller eyepiece lenses and the larger objective lenses are offset considerably. Better image quality at lower price points: because of the way the optical system works porro-prism binoculars are typically cheaper to produce at any given quality point — and are therefore cheaper to buy. Bigger and bulkier: the porro-prism optical system tends to make porro prisms much broader and bulkier than the equivalent roof-prism design — which can make them a little more unwieldy to handle in the field. Less robust: porro-prisms are typically more sensitive to damage when banged or dropped against hard objects than roof-prisms, they are also more difficult to seal, making water and dust ingress a potential problem, as well as internal fogging in extreme conditions. 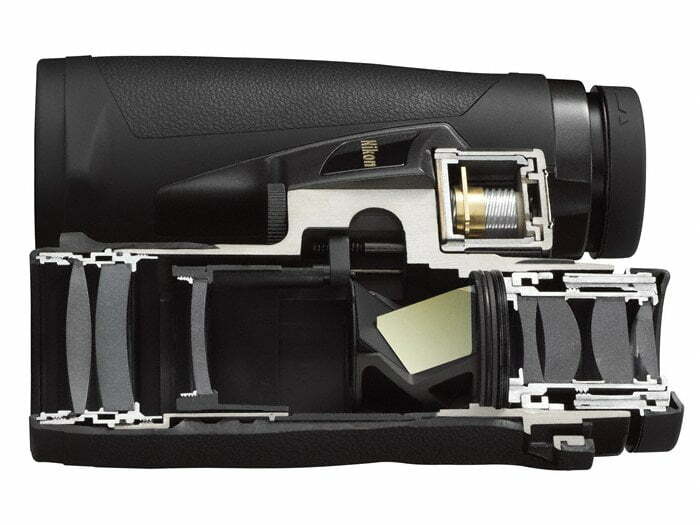 Nikon EDG cutaway showing the inside of a roof prism optical system. The more modern roof-prism design has two straight barrels with the eyepiece and objective lenses perfectly aligned. They consist of two straight barrels — like a pair of small telescopes attached together. The result is a more compact, robust and ergonomic binocular. Inferior image quality at lower price points: because roof prisms reflect light off more internal surfaces than porro-prisms, all other things being equal they tend to produce a darker image. They also suffer from a phenomenon known as phase shifting which degrades the sharpness of the final image. High quality roof prism binoculars include special phase-correction, high-transmission coatings on the prism surfaces to counteract these negative effects. Roof prisms can match and surpass the quality of porro-prisms, but at a price. More compact and ergonomic: roof prisms are typically smaller, more compact and lighter than equivalent porro-prism designs, and tend to be easier and more convenient to handle for extended periods out in the field. Don’t underestimate the value of balance and handling to your overall enjoyment of using a binocular. More rugged and robust: roof prisms are less susceptible to mis-alignment through shock damage from impact with hard objects or surfaces. They are also easier to waterproof — and are typically nitrogen or argon purged, making them impervious to dust and water, and preventing internal fogging in extreme conditions. When the going gets tough a good pair of roof prisms will typically keep performing long after a porro-prism binocular has given up. Recommendation: if your budget is low then consider porro-prism designs to get maximum bang for your buck in terms of image quality. If you’re planning to spend a little more on your binoculars then a phase-corrected roof prism design will deliver superb image quality in a more compact, ergonomic and robust package. A pair of Vanguard Spirit ED showing the 8×42 (8x Magnification, 42mm objective lens) printed on the focus wheel. Every pair of binoculars has two numbers printed somewhere on the instrument (usually on the face of the focus wheel, but sometimes on the body of the binocular) — for example 10×42 (pronounced ten by forty two) or 8×32. The first of these numbers is the binocular’s magnification, the second is the diameter of the objective lens (we’ll get to that in a moment). The magnification rating tells you how much bigger the binocular will make things appear — or from a birder or wildlife enthusiasts perspective, how much closer the binocular will get you to your subject. People often jump to the immediate conclusion that higher magnification is better. Lets quash that myth right now: it simply is not true! While higher magnification will indeed bring things closer, and in theory will increase the amount of detail you see, it comes with a number of trade-offs that make high-power binoculars less than ideal for birding and wildlife observation. accentuate hand-shake, making high magnification binoculars more difficult to hold steady. For many this hand-shake effect will negate any increase in detail delivered by the higher magnification, and without a support they experience a sharper image through lower power binoculars. 12x and higher: large magnification and lower depth of field mean binoculars of 12x and higher are typically suited to specialist long-distance viewing of subjects at a fixed distance, often from a tripod or other support to overcome the increased chance of image shake. 8x-10x: considered by many to be the ideal range for general purpose birding and wildlife use, 8x-10x binoculars offer the most versatile balance of “reach”, stability and image brightness for general purpose hand-held applications. 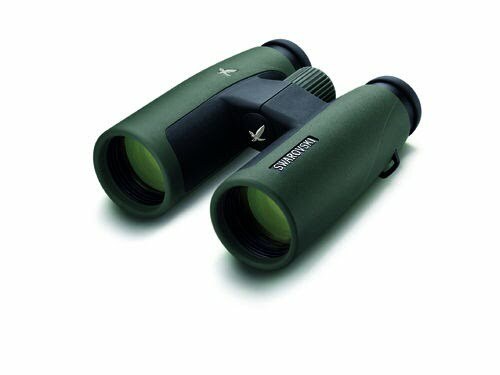 7.5x and lower: can offer benefits for people who find it difficult to hold higher magnification binoculars steady, or for people who want a very wide field of view to observe fast moving wildlife (like dragonflies for example) at relatively short distances. Zoom binoculars: as a general rule avoid zoom binoculars like the plague — they tend to deliver inferior image quality, be less robust and generally less satisfying to use than fixed focal length optics. Recommendation: unless you’re looking to use your binoculars for a particular specialist task choose something in the 8x to 10x range for general bird watching and wildlife observation. Try out different magnifications to see which suits you better. Generally if you’re doing a lot of long distance observation (like scanning wading birds on estuaries or lagoons, for example) you may appreciate the higher magnification of a 10x. If you do a lot of wildlife watching at close quarters, or in enclosed places like woodlands trying to track small, fast-moving subjects, then the wider field of view of an 8x may suit you better. The brightness of a pair of binoculars is principally governed by their magnification (as mentioned above), the diameter of the objective lens (which governs the amount of light entering the “business end” of the binocular), and the quality of the lenses, prisms and coatings in the optical system. Generally speaking the larger the objective lens, the brighter the resulting image will be, but the heavier and more cumbersome the binocular will be to carry and handle in the field. As with all things when it comes to optics, choosing the right sized objective lens is about trade-offs and compromise. 50mm+: larger binoculars particularly suited to low light conditions or for viewing over long distances at very high magnification, often from a support. 40mm-50mm: full-size binoculars considered by many to offer the optimum balance of low-light performance and portability. 30-40mm: mid-sized binoculars offering reasonable brightness in a smaller, more compact frame. 20-30mm: compact binoculars giving poorer low-light performance, but in an extremely portable “take anywhere” design. For most people a 42mm full-size binocular or 32mm mid-size binocular offers the best balance of brightness and portability for extended periods of hand-held use in the field. Generally speaking a full-size binoculars will outperform a comparable mid-sized binocular in low light early in the morning or late in the evening… but better coatings and optical components mean high-end mid-size binoculars will often outperform mid-range full-size binoculars, at a price. Recommendation: choose a 42mm full-size or 32mm mid-size binocular (or similar… ther e are various non-standard sizes available) as your primary wildlife and birding binocular for maximum quality, versatility, convenience and comfort. The Viper HD — an outstanding high-quality upper-mid-range binocular from US company Vortex. Binoculars that share the same magnification and objective lens diameter can deliver vastly different levels of optical performance. 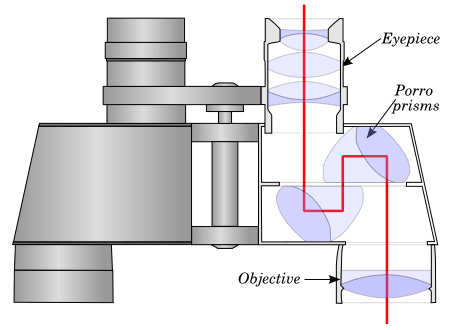 The quality of the optical components, the design of the optical system itself and the care and attention to detail during construction all play a role in a binocular’s overall optical quality, as do the quality and application of special coatings to the lenses and prisms (see below). Here are a few optical features its worth looking out for when researching your new binoculars. ED or HD lenses: Extra-low Dispersion (ED) or High Density (HD) lenses are used in the objective lens elements of premium binoculars and spotting scopes. Their principal purpose is to correct for a phenomenon called “chromatic aberration”… or colour fringing. Colour fringing can be an issue with standard binoculars, particularly when viewing high contrast subjects (light subjects against a dark background and vice versa). ED or HD glass reduces or eliminates colour fringing, improving the perceived sharpness, contrast and colour fidelity of the resulting image. Edge Sharpness: All binoculars have a “sweet spot” in the centre of the field of view where the image is in sharpest focus before some loss of sharpness as you move out towards the image edge (a phenomenon known as field curvature). The wider this central sweet spot, the more enjoyable the binoculars will be to use. The better the binoculars, the larger the sweet spot, and the less softening you get as you approach the image periphery. Some premium binoculars (like Swarovski’s flagship EL Swarovision range), incorporate special “field flattener” lenses in the eyepieces to deliver a clear view right to the edge of the field. Colour fidelity: its important that wildlife and birding binoculars reproduce colours and tones accurately. For birding in particular correct identification can depend on differentiating between subtle variations in hue. Many binoculars have a subtle colour cast. The view through them is either slightly cool (bluish) or slightly warm (yellowish) compared to the view through the naked eye. This isn’t necessarily a problem as long as it’s not pronounced — but look for a binocular that’s as close to neutral colour reproduction as you can get. Resolution: resolution is a measure of your binocular’s ability to reveal the fine detail in the subject you’re viewing (individual feathers in a bird, for example), and of course a higher resolution image with more detail is always better. The main factors that affect the resolution of a binocular are the size of the objective lens, the magnification, the quality of the optical components and the lens and prism coatings. Contrast: the higher the contrast in the image you see through your binoculars, the better. A high contrast image will have more “snap”, and makes it much easier to pick out fainter objects at distance. It also helps you to differentiate between subtle variations in tone and hue, particularly at lower light levels. Contrast is largely impacted by the quality of the lenses and prisms in the optical design, their accurate alignment to reduce or eliminate internal reflection, and of course the quality of the lens and prism coatings (again). Outstanding contrast is one of the hallmarks that gives premium binoculars that elusive “Wow!” factor. Depth of field: the depth of field is a term that describes the amount of a scene, from near to far, that appears sharp at any given point of focus. This factor is often overlooked, but a better depth of field means less “fiddling” with the focus wheel in use, and can make a huge difference to your experience when using binoculars in the field for extended periods. Close focus: a short close-focus distance lets you view subjects that are very close to you. Most quality binoculars focus within about 3-4 metres… which is plenty close enough for most birding and wildlife. If you’re interested in insects like dragonflies and butterflies, however, then you ideally want a pair that can focus to within 2 metres. Recommendation: always strive for the best optical quality your budget will stretch to, and look for binoculars that deliver sharp, high-contrast images, with lots of detail and a large focal “sweet-spot” and good depth of field. If you’re interested in watching insects pay particular attention to the close focus distance. Look out for HD or ED glass in the objective lens — but bear in mind that non-ED binoculars from premium manufacturers can, and often do, outperform ED optics from some other brands. We’ve already mentioned coatings several times, and they really do transform the performance levels of any binocular. Almost all binoculars on the market today will have some kind of anti-reflective coating applied to at least some of the air-to-glass surfaces to improve light transmission, compensate for the aberrations inherent in any optical design and enhance image resolution, colour fidelity and contrast. These days for serious birding and wildlife observation you should never consider any binocular that is not fully-multi-coated. Anti reflective coatings on the lenses and prism surfaces reduce the amount of light lost as the image passes through each surface in the optical system, improving light transmission and reducing the amount of stray light reflected inside the binocular — thus improving image brightness and contrast. Generally the better the anti-reflective coatings, the better the resulting image and the better the binoculars will perform across a wide range of lighting conditions. The best performing coatings are expensive to produce and difficult to apply, and typically add considerably to the cost of the finished binocular. These coatings are perhaps the main differentiating factor between premium or “alpha” class binoculars and other models. Phase corrected prism coatings help to combat the “phase-shift” inherent in the roof prism design. They are not necessary in porro-prism binoculars. In roof prisms the light path is split in two as it passes through the prism and then recombined, but because of the way roof prisms work the two light paths are slightly out of “phase”. This reduces contrast and resolution in the the resulting image, so the best roof prism binoculars have a special coating applied to the prism surface to counteract this “phase shift” and prevent degradation of the image. Aluminium mirror coating: typically result in light transmission of 87-93% through the prism. Silver mirror coating: result in light transmission of 95-98% through the prism. Dielectric mirror coating: a special coating technique used in very high specification binoculars to achieve >99% light transmission through the prism. These are special coatings added to the outer lens surfaces, typically of high-end premium binocular models, designed to protect the more the delicate anti-reflective coatings from abrasion and damage during use and cleaning. They also usually repel water, dirt and grease, making the binoculars easier to use in the rain, and much easier to clean than binoculars without such coatings. Recommendation: Always choose fully-multi-coated optics for wildlife observation and birding. If you’re buying roof prisms look for phase corrected prism coatings and silver mirror coatings if your budget will stretch to them. Dielectric prism coatings are better, and will deliver a brighter image, but tend to cost significantly more. If you’re shopping in the “premium” segment of the market, look for additional protective lens coatings that shield the external lens surfaces. Field of view is the term used to describe the extent of the scene before you that is visible when you look through your binoculars. It is usually expressed as a measurement of metres / 1,000 metres, or as an angle of view (e.g . 110m/1000m or 6.3°). A wide field of view is desirable for wildlife watching and birding, as it allows you to scan large areas quickly, and makes finding and following fast moving subjects much easier. As we’ve already mentioned, higher magnification tends to reduce the field of view, while larger objective lenses typically increase field of view, but also increase the bulk and weight of the binocular. Some binoculars have special wide-angle eyepieces that offer a particularly wide field of view for their configuration. While a wide field of view is a good thing, again it often involves trade offs elsewhere in the optical design — so again you’re looking for a balance, and the widest available field of view may not necessarily be the right choice for you. Recommendation: an adequate field of view is important, but a super-wide field of view isn’t really necessary, and often comes at the expense of other elements of the image that are more critical. Look for a relatively wide field of view that still delivers in terms of overall image quality. Different binocular styles: “modern” single hinge (Swarovski SLC HD — left), traditional single hinge (Vanguard Spirit ED — centre) and the popular open-hinge design (Hawke Frontier ED — right). A pair of binoculars may deliver the best image in the world, but if they’re uncomfortable and inconvenient to carry and use in the field they’re useless as a wildlife and birding binocular. The feel of a binocular, its weight and, more importantly, it’s balance, is crucial to the overall enjoyment of owning and using it. Traditional single hinge: the two barrels of the binocular are connected with a large single hinge. This is the “standard” binocular design and is the most familiar for many people. Double open-hinge (also called open-bridge): the two barrels are connected by a pair of hinges with a gap in the middle offering a “wrap-around” grip many people find more comfortable. “Modern” single hinge: offers the benefits of the open-hinge’s wrap around grip, but with a single, smaller hinge placed high on the binocular body. Different styles suit different people. My personal preference is for the modern single-hinge design (as found in my Swarovski SLC HD and the Hawke Sapphire ED reviewed on this site recently), followed by the traditional single hinge and finally the double open-hinge design that has become so popular today (a trend started by the popular Swarovski EL series, and used by the Docter 8×42 ED and Vanguard Endeavor 8.5×45 ED we reviewed recently). Lightweight is good, particularly if you’re going to be carrying your binoculars for long periods of time, but it’s important to remember that lighter isn’t always better. High quality optical components are generally far weightier than low-quality equivalents. Quality lends high-end binoculars a solid feel and “heft” when compared to their cheaper counterparts. That weight is reassuring, and with a well balanced design it can make the binocular easier to carry and hold steady for longer periods. Be wary of binoculars that feel almost too light for their size — the weight savings often come at the expense of quality. A well balanced binocular should feel natural in your hands, and should almost become an extension of your body once you get used to it. Your binocular should become a seamless interface between you and the scene you’re viewing — so natural you almost forget its there. Bottom line: if you have to concentrate to use your binoculars then you have the wrong binoculars. Recommendation: balance and handling is a very personal thing, but you should be able to get some idea of what the binoculars on your shortlist are like by reading reviews online from people who’ve spent time with the binoculars on your short-list. 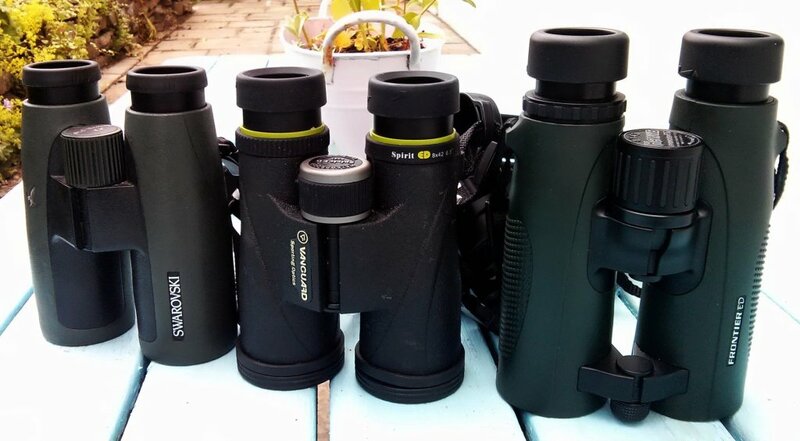 Try searching birding and wildlife forums (like Bird Forum) for recommendations by owners — and try and get to use as many different types of binocular as you can to see how different models and different styles feel to you (see point 10 on Try Before you Buy). Build quality is another one of those crucial areas when it comes to a precision optical system. High performance optics require painstaking manufacture within extremely tight tolerance limits to deliver consistent levels of quality in the finished product. The slightest misalignment of any component in the construction can seriously affect the performance of the binocular. Again, you tend to get what you pay for here to some degree, and optics from established top-flight brands are usually incredibly well made (my binoculars are still the best made piece of equipment I have ever owned). That said there are plenty of very well made binoculars in the low-to-mid range from manufacturers who take quality every bit as seriously as the premium brands. Magnesium alloy: the strongest and lightest weight material currently used for binocular housings, typically used on premium models from high end optics manufacturers, although there are exceptions. In addition to the main metal or polycarbonate housing, most modern binoculars will have a protective rubber armour applied to both protect the binocular from minor impacts and to improve grip and handling in the field. Some housings and armour feature sculpted or textured surfaces to help with grip and balance. 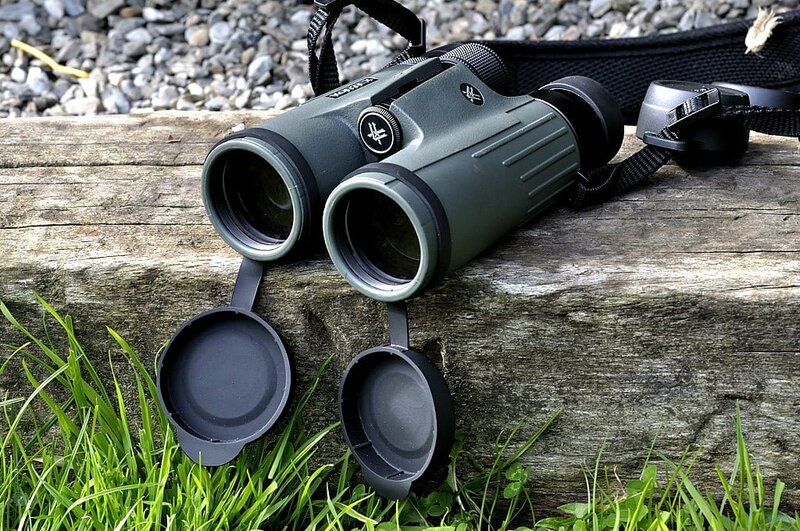 For wildlife watching and birding you really want a binocular that is completely waterproof to give you piece of mind when using your optics across a wide range of conditions. 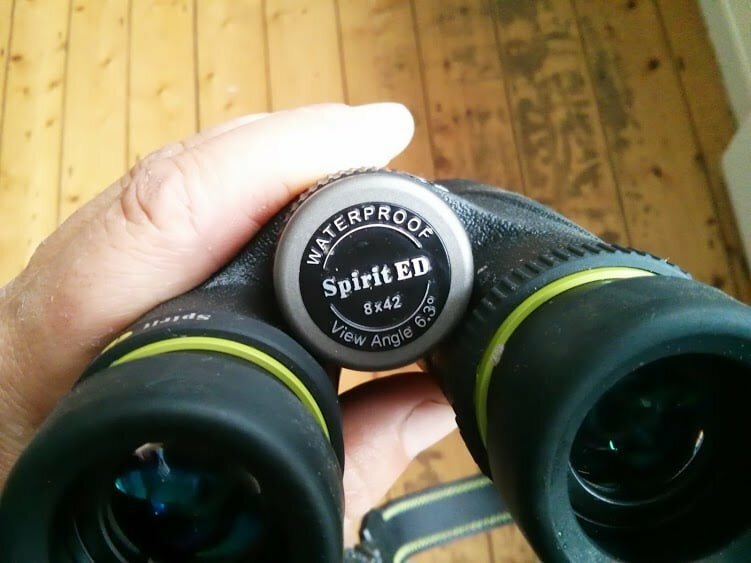 Most roof prism binoculars on the market today that are suitable for birding and wildlife are waterproof, and are purged with an inert gas (either nitrogen, or less often argon) to drive out water vapour and eliminate the potential for internal fogging when moving between extreme temperature gradients (from a warm car onto a wintery moorland, for example). Waterproof binoculars don’t just guard against rain and wet — they also ensure that dust, sand and other dry particles can’t find their way into the binocular — which can be just as important. Recommendation: make sure the binoculars you buy are robust enough to stand up to the rigours of extended field use. Choose a lightweight but sturdy pair, with good balance and grip and always make sure they are fully waterproof and nitrogen or argon purged. Your binoculars represent a significant investment — and you want a pair that is going to serve you well for many years. One useful guide to the longevity of a pair of binoculars is the type of warranty offered by the manufacturer. While not infallible, this at least gives you a steer on the manufacturer’s confidence in the quality of their product. Typical warranties for high-quality binoculars last from 10 years to 30 years depending on the manufacturer and cover any faults in materials and workmanship for the duration of the warranty. A few manufacturers offer lifetime warranties with their products, and some even go as far as offering an unlimited lifetime warranty with a “no-fault” clause, which means the manufacturer will repair or replace the binoculars completely free of charge for any defect or damage, however caused, for the lifetime of the product. The Hawke Optics Lifetime Warranty is an example of this — and is one of the most comprehensive binocular warranties available today. Recommendation: while few people will buy binoculars solely on the strength of a warranty, and hopefully you won’t need to avail of it, a manufacturer’s willingness to stand over their product is obviously a major plus. Focus on features and the overall quality of the binocular first — but do consider the warranty in the “mix” before making your final selection. It’s not always possible to try all of the binoculars on your short-list before you make a decision. In many places high quality optics retailers are thin on the ground, so finding somewhere that stocks the models you’re interested in can be a challenge. That said there really is no substitute for experiencing the different views, handling and features of a range of different binoculars to give you a “feel” for which options suit you best. Optics retailers: if you’re lucky enough to live near a major optics retailer head to the store and try out a range of different binoculars. If possible try to use the binoculars outdoors, rather than under the artificial lights of the store. Shows and events: events like the UK Bird Fair (or something similar near you) have stands from most leading optics manufacturers keen to demonstrate their latest models. They are the perfect place to use a wide range of different optics outdoors in field conditions. Trips and outings: attend outings, trips and guided walks organised by your local bird club or wildlife group, and ask other people if you can try out their binoculars. Most people are more than happy to oblige, and you can get a good idea of how different models at different price-points perform in the field. No-quibble returns: given how difficult it can be to get “hands on” time with high-quality optics in some places, some mail order companies (particularly in the US — but increasingly in Europe) offer a no-quibble return policy allowing you to order with confidence, try the binoculars for a few weeks, and return them for a full refund if you’re not happy, no questions asked. Recommendation: try to get your hands on as many different binoculars as you can before deciding on which pair to buy. The perfect binocular can be a very personal thing, and there really is no substitute for actually trying a variety of models to see what works for you. There’s a lot to consider when choosing a new pair of birding and wildlife binoculars, but we hope this guide helps you to weigh the various pros and cons and pick out the perfect option for you. Above all, we hope your new binoculars help you to have many more spectacular and memorable wildlife encounters for many years to come. If you’ve found this guide helpful, or have suggestions on how we can improve it, please let us know in the comments below. wonderful article. Before reading it I was ignorant and confused. Now I am slightly knowledgeable and very confused. Help! It can be confusing, but if you apply the tips in the article, and look at a few of the options available within your budget you’ll start to get a feel for what suits you. Always go for the best optics you can afford — it’s a worthwhile investment. Thank you for sharing the various attributes which you have experienced, when using the medium to your passion . Very limited choices down here in Thailand – and, one has to be careful. The market is flooded with less than reliable Chinese products. Don. Very enlightening article, accurate informations. Excellent post. everyone should to know the impotent fact before the buying a binocular. You wrote the awesome impotent fact in this article. Went to a couple of shops and left bamboozled by sales talk, however aftr reading the article I feel I have some ” some basics” with which to focus the sales patter to help me select, appreciated! You’re welcome Vic… I think half the time the sales people themselves are bamboozled. They can’t offer relevant advice because in many cases they don’t understand the basics of optics, don’t use binoculars regularly enough themselves and simply don’t appreciate how their customers will use their binoculars in the field. That’s one of the main reasons I decided to write the article. Glad you found it useful. People with eye glasses will only be able to use a pair of binoculars without wearing their glasses, if they are simply nearsighted or farsighted. In that case, focusing will correct the condition ( remember, you still have to perform diopter adjustment on the right eyepiece first ). However, if you have a more complex eye condition, such as astigmatism – then you have to use the binoculars, while you are actually wearing your glasses. This means, that the binoculars have to have sufficient “eye relief” ( the distance from the outer lens element to your eye). If the eye relief is not sufficiently long – the user will experience tunnelvision which narrows down the FOV. For most people, an eye relief of 15-16 mm will be enough , but occasionally an eye relief of longer distance will be needed. If you have a complex eye condition, you might have to consider binoculars with eye relief of 17-20 mm. Very true… and I have a bit about eye relief in the ebook derived from this post. I’ll make a note to add it here too when I get chance… thanks for the comment. First of all, Thanks for such a great article about binoculars. You have included all the necessary info which is very helpful for a beginner like me. Would you like to share the list of best binoculars in 2018?